What’s all this about britches? Merrifield Garden Center and the seductive beauties it lays out for you in burlap bags and pots, you will seize any excuse to break ground again. 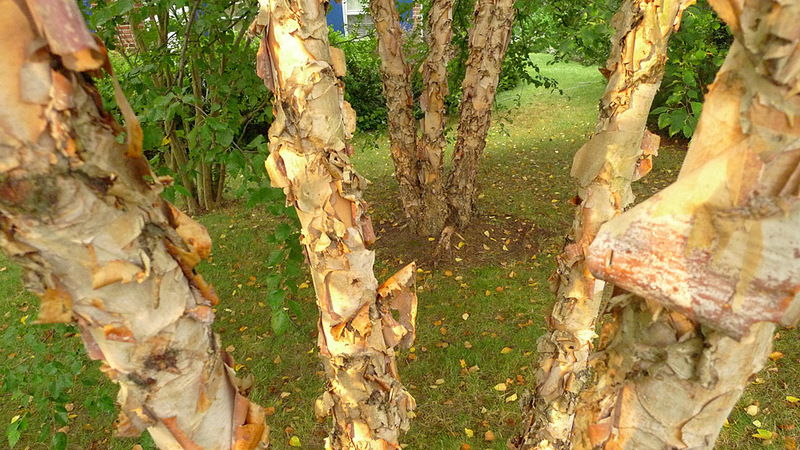 Moving to Birch Street raises an undeniable suggestion, and it turns out that birches, with their preference for dampness, do enjoy the rain our yard is especially good at collecting. Above, a birch reaches beyond our plum tree for a bigger share of the sun.